Coyote Point is a regional recreation area that provides a wide variety of opportunities: picnicking, swimming, windsurfing, bicycling, jogging, fishing, boating, and sailing. Kids will love the giant, castle-and-dragon-themed Magic Mountain Playground. Spectacular natural history exhibits of the Bay Area can be found at the CuriOdyssey. You can observe and listen to live animals at the Wildlife Habitats. Stroll along the beach promenade, visit the marina and its breakwater, or to the saltwater marsh. See shorebirds, colorful boats, windsurfers, and planes from the San Francisco International Airport. 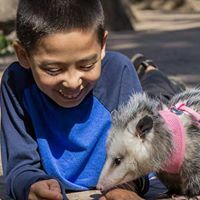 CuriOdyssey at Coyote Point is where children and adults can explore interactive science exhibits and have up-close encounters with native California animals (our 100 animals have come to us as rescued or non-releasable). Interactive exhibits present nature’s surprising and often beautiful phenomena. Children do real science as they change and test variables. Habitats allow visitors both young and old an up-close view of native California animals.